Welcome to this brand new apartment in the heart of Downtown Victoria. Bring your car we have secure parking…..or don't and walk to everything! Don't be fooled by the number of bedrooms, this unit has been thoughtfully laid out and furnished to accommodate four adults. You won't be disappointed! *We have endeavoured to make this a very enjoyable, comfortable accommodation suitable for couples, families, long and short term vacationers and the business traveler. Much thought has gone into choosing the perfect furnishings, accessories, welcome baskets and numerous amenities to make this home a relaxing environment during your stay. Our hope is that you’ll have a memorable time experiencing all of what our beautiful region has to offer. Best Location in Victoria! Steps from the best dining, pubs and shopping that Victoria has to offer. Private alley to Canadas oldest Chinatown or short stroll to the Empress Hotel and Royal BC Museum. 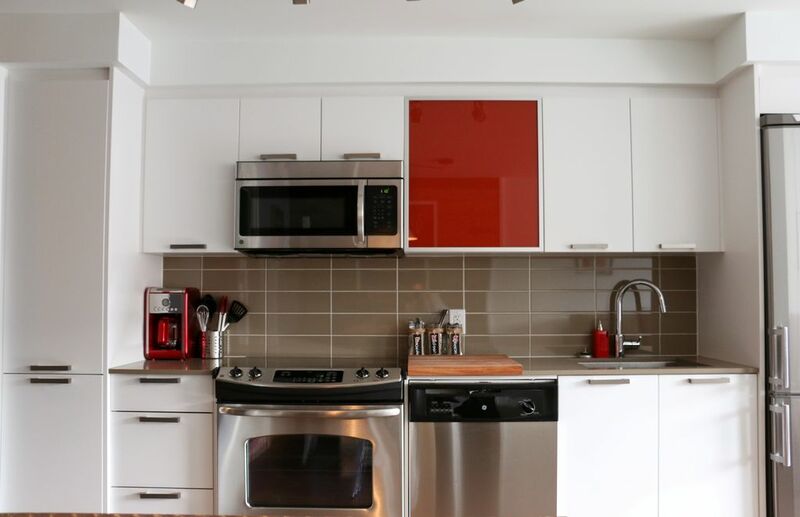 Our Apartment is Ideally located just South of Victorias Downtown Core. Backing onto Canada's Oldest China town means our neighbourhood is steeped with tradition. Secret alleys and one-of-a kind boutiques offer up a bevy of treasures. Locally sourced produce and meats are available at the many markets and grocers of chinatown. Not into cooking? don't sweat it were steps from the regions top restaurants. Victoria has an extraordinary assortment of cuisine - from elegant fine dining to casual bistros, waterfront pubs and killer cocktail lounges. Victoria chefs are blessed with an abundance of local fare including outstanding locally made wines, ciders, beers and spirits. Using the freshest local ingredients that reflect the West Coast a number of restaurants, public markets and food festivals have put Victoria on the culinary map. Need to burn off some calories? We've got the scoop on all the adventure tourism in the region! Victoria is the ideal playground for outdoor adventure enthusiasts. On land or at sea, outdoor activities are possible year-round in our temperate climate. From ziplining through treetops to crescent moon kayaking, diving, hiking or cycling, visitors will delight in the wild beauty of the Island. We've built relationships with the regions premiere operators to ensure our guests have the best possible experience. Looking for something a little more mellow? We happen to be walking distance to all the shopping and site seeing you could handle. Victoria is home to some of the country's most exhilarating scenery; there's an ocean or mountain vista around every corner, and the city's flower gardens are famous the world over. Established in 1843 as a fort for the Hudson's Bay Company, Victoria's British ancestry is apparent in the double-decker buses, horse-drawn carriages, formal gardens and tearooms.